If you interested in learning more about game design, here are two great books you should definitely check out. 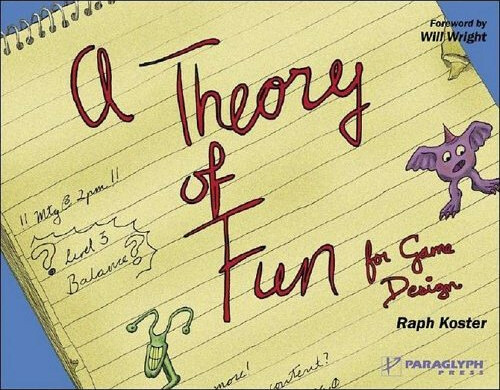 Written by Raph Koster, A Theory of Fun Given was a great gift from a friend. It’s exactly what it says it is ‘A Theory’ about Fun. 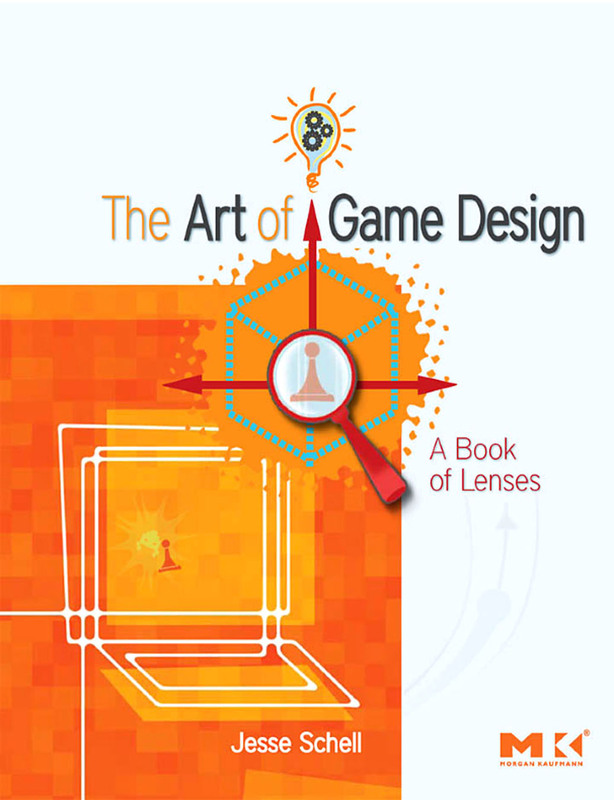 After reading it I’d describe it as actually quite light reading; a short and colorful book filled with plenty of pictures that’s well worth a read for those new to game design. Written by Jesse Schell, The Art of Game Design is a comprehensive look into exactly that The Art of Game Design (it’s a good sign a book does what it says). I’m actually reading it at the moment, and so far it’s a joy particularly because of the authors writing style. The book is giving me an holistic look into game design that’s changing my perception of how I look at everything surround games. Another book well worth your time. Game Development Society is an official society at the University of Edinburgh that I help found with two good friends of mine, Nick La Rooy and Richard Cassidy. Sadly now that I’ve graduated from the University of Edinburgh I’m no longer part of the committee, but I’m happy to say its been left in very capable hands. If your interested in game development then I highly encourage you to get in touch with them through either their website or email (gamedevsoc@gmail.com), as well as subscribe to their mailing list. By the way they have an upcoming Game Jam sometime next week (details are at the bottom of the page) so if your in Edinburgh around then go check it out! First off, welcome to all our new members, great to have you with us. This is just a quick reminder of our first (and main) event this Semester, which I’m sure Scott or Paul mentioned at the Freshers’ Fair – our 1st Semester GameJam. So, what is a GameJam? Basically, you spend a weekend rapidly producing a short game, based on a given theme (revealed on the day). All the games are then judged by the community with a prize for the winner! The event is open to students and non-students alike, regardless of skill level, and free for members or just £3 otherwise. Turn up in a team of up to four, or on your own and we will organise teams on the day. Programmers, artists, sound designers, writers etc. are all welcome (and appreciated!). It will be in the The Pentland Room at the Pleasance Student Union on the 21st and 22nd of September, starting at 11:00 – that’s this weekend. We have the room booked till 23:00 on the Saturday, and it will reopen at 12:00 on the Sunday. The games will need to be complete and playable (on your machine only) by 21:00 on Sunday for the judging. You will need to bring your own PC, contact us if this is a problem. Once again there will be an exciting new theme, and a fabulous cash prize. Regarding rules, you can use any language, framework or program you like, provided you are not simply completing an existing game. We encourage everyone to judge based on the game, not the tools used to make it. As an aside, we will also be there to help novices if they choose to use GameMaker. If this is you, we recommend doing the “Your First Game” tutorial here so you’re ready to go as soon as you arrive. As usual, if you’ve any questions, please don’t hesitate to ask us.